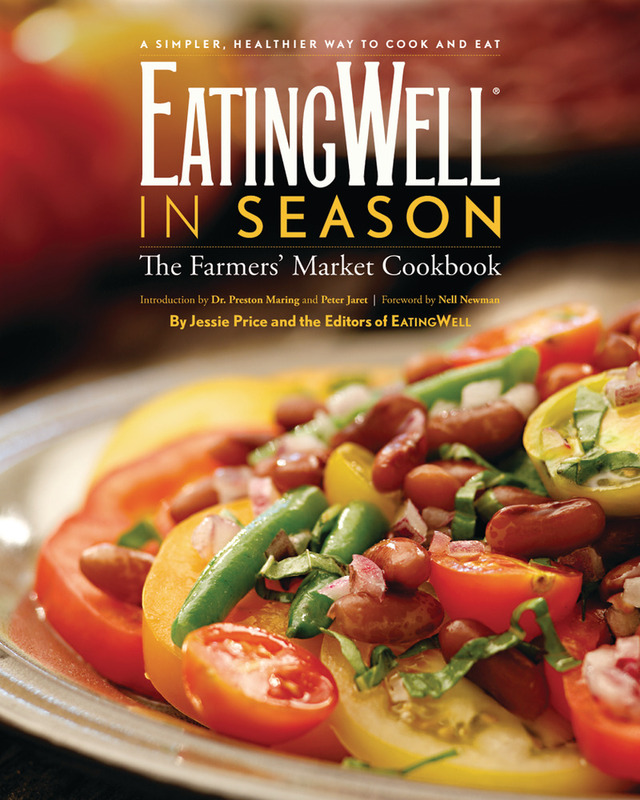 EatingWell ’s Test Kitchen delivers more than 100 new recipes that star fresh produce, such as Balsamic&Parmesan Roasted Cauliflower, Pork Roast with Walnut-Pomegranate Filling and Caramelized Pear Bread Pudding (for a sample of fall recipes). Divided up by season, the recipes celebrate the freshest ingredients. The book also includes tips on how to freeze and preserve bumper crops; techniques for roasting peppers, peeling mangoes, and other ways to preserve your farm finds; profiles of local farmers; tips on planting your own kitchen garden, and more.